Stitch & Story’s new stockist - Knit with Attitude. 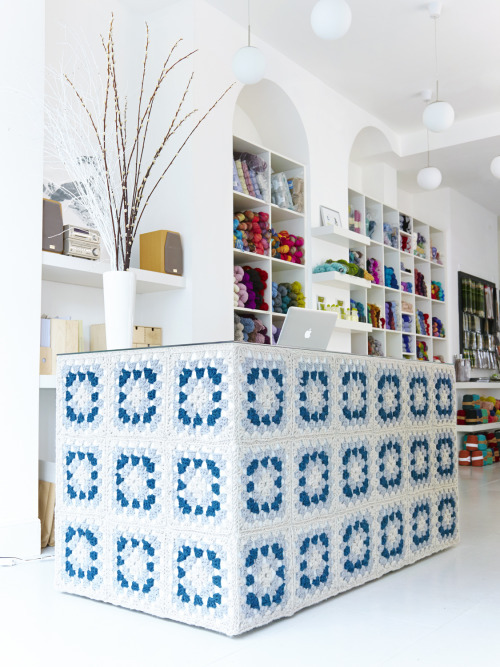 We’re so proud to be stocking our Stitch & Story knitting kits at this stunning, contemporary yarn shop in Stoke Newington, London. Not only does the founder, Maya, have an eye for beautiful yarns and knitting wares but, like us, she is a firm believer of raising the awareness about our consumption - both ethically and environmentally. Her ambition is to challenge the status quo in order to encourage discussion, knowledge and action. All her yarns she stocks ‘are environmental friendly products, produced with ethical consciousness. All representing a positive attitude toward the world, sharing a concern about its resources and the way we take care of our planet’. Pop in for a visit at: 127 Stoke Newington High Street, London, N16 0PH. Buy a present or two for your loved ones this Xmas and gift the experience of learning to knit! All our kits are aimed at new beginners and contain step-by-step instructions to knit a scarf, hat, jumper of your choice. Don’t forget to check out our online video tutorials too for more help!